At ten years old, Daniel stumbles upon a novel in the ‘Cemetery of Forgotten Books’, but his book, ‘The Shadow of the Wind,’ by Julián Carax, draws a lot of attention from those around him. Daniels undertakes the challenge of discovering more about the unknown author, but his investigation leads to deadly consequences. When Daniel becomes ten years old, his father reveals to him the ‘Cemetery of Forgotten Books,’ the place where books are taken to after the closing of a library or a publisher warehouse. Books are saved from disappearing by the cemetery. 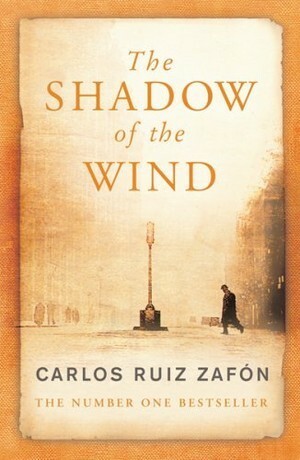 Daniel is allowed to pick one book from his visit and he chooses ‘The Shadow of the Wind’ by Julián Carax, or rather, it chooses him. 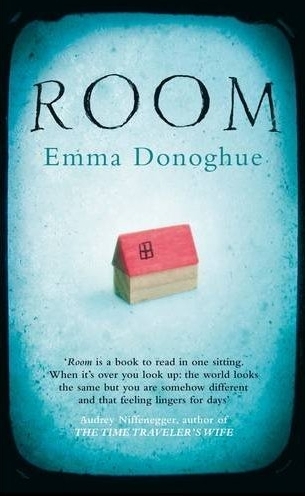 I was really excited to read this novel, as I had heard so much praise for it and the concept seemed exactly up my street. However, once I started reading it, I found it incredibly difficult to engage with. The main characters in the novel are male, and extremely difficult to get along with. Something about them jarred with me, to the point when I didn’t care what they did or why. I think it was because the men seemed egotistic and irrational. At the same time, the majority of the women are equally arrogant and difficult. Not only did I find the characters impossible to understand, but the plot was also equally incomprehensible. The narrative is dragged out over such a long period of time; you begin to lose track and faith in its progression. The trickles of information that are released to you are sparse and frustrating, as there is nothing to draw you in and really compel you to unravel the whole story. The novel did have its good points however, there are some beautiful phrases used, which is why I have chosen so many favourite quotes. The ending of the novel (if you get that far) is also fantastic, and almost made me forget the struggle I had reading the plot. The last twenty-five pages completely transformed my opinion of the whole book, but at the same time, I still wish some revelation of its kind had come slightly earlier, so reading the first 450 pages didn’t feel so painful. Ultimately, this book has me torn. After feeling completely disheartened and not even wanting to pick it up some days, the ending of the novel does make the slog worth it, however, with the book being so bulky, I fear that some people may give up before they get there. I was most disappointed with the fact that the plot had a lot of potential, but something in it was lacking. I eventually settled on a score of six out of ten, but up until the last few pages it was dwindling at a three. I’m really upset that I didn’t like this one and even though it has been a popular book, it just wasn’t one for me. Jack was born, and has lived the first five years of his life in Room. Everything in Room is real, but everything he sees on TV is made up. Outside of Room there is nothing but Outer Space, and Old Nick who brings Jack and his Ma their food. But one day Ma tells him that there is a world outside Room, with people and parks and stores. Jack doesn’t believe Ma, but when they plan to make their Great Escape, Jack will experience the world for the first time, and experience so many things he never knew existed. Initially, I didn’t like this book. I read the first thirty pages and put it down as I felt it was too much hard work and the plot wasn’t progressing fast enough. However, determined to see it through to the end, I picked up from where I left off and I immediately couldn’t put it down! Once you get used to the language and description used by five-year-old Jack, it becomes less difficult to read the novel and easier to enjoy. You start to sympathise with Jack right from the beginning, as you are aware of the horrific circumstances he is living in, even though he isn’t. The main concern I had when I was reading the book was how the plot would progress. Obviously, life in Room is fairly repetitive, and for that reason, the first fifty pages can seem difficult and even boring at times. However, it is worth persevering as the second half of the book is incredibly rewarding. The second half of the book focuses on Jack coming to understand the world around him and experiencing new things. It is touching to witness his first experience of ice cream or a playground. This book really surprised me as I read it simply because everyone said I should, but I absolutely loved it. I don’t normally keep books once I have read them, but with this one I am refusing to part with it! The ending is incredibly beautiful and touching, and, after being almost reduced to tears, I am holding on to my copy so I can experience it over and over again. I would honestly encourage everyone to read this book more than anything I have ever recommended before; it is such a versatile book that doesn’t fit into any genre, but has the ability to appeal to everyone. I’d love to hear the opinions of anyone who has read it or wants to read it! Everyone in my creative writing class at university was constantly talking about how brilliant Haruki Murakami is. 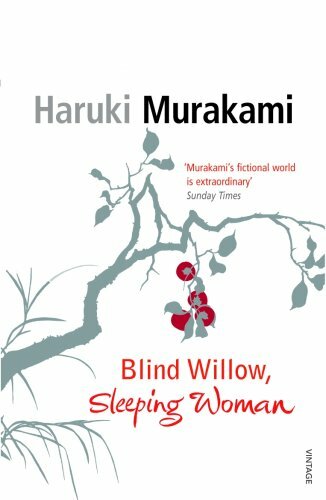 Having never read any Murakami before, I decided to try his collection of short stories ‘Blind Willow, Sleeping Woman.’ Initially, I found the stories hard to engage with, as I felt that they lacked a plot or even a purpose for reading them. As I reached the end of each story I was left thinking, ‘what was the point in that?’ as there was no moral conclusion or even an explanation of the events. I found that the stories towards the end of the book were much better than the first ones, and were much more complete in their structure. However, from my experience of reading Murakami, I wouldn’t feel compelled to read another one of his books, which I was disappointed about as everyone had recommended him so highly. I know that there are plenty of Murakami fans out there who love his work, but I’m afraid I just didn’t quite ‘click’ or understand the appeal of it. 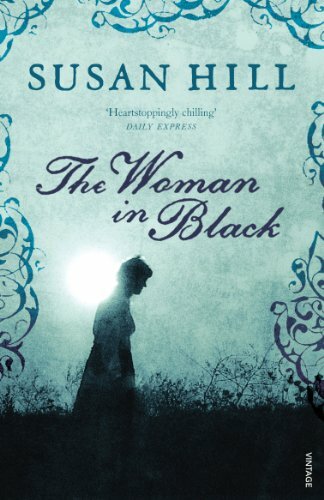 Yesterday, I read the one of the newest books from Susan Hill, the author of ‘The Woman in Black.’ ‘The Small Hand’ was released in 2010 and, because of the gripping story line (and a two and a half hour wait at the walk-in centre) I read it in one day. The story is about an antique book dealer who, after stumbling across an abandoned house, feels a ghostly hand placed in his. This hand, however, is not as friendly as he first thinks. The book is a fantastic read; from the minute I picked it up I couldn’t put it down! You, along with the protagonist, are constantly trying to piece together the mystery surrounding the small hand and what it is trying to achieve, and why. Numerous questions are raised that cannot be answered until the final chapter, which at once leaves the reader feeling surprised but horrified at the deadly outcome. 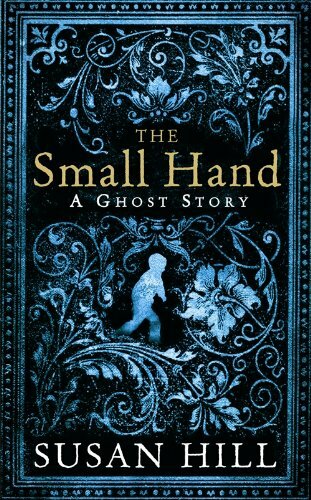 After reading ‘The Woman in Black,’ I feel that ‘The Small Hand’ is a much more gripping tale, which works as a more fluent story due to the simplicity of the tale. As you are approaching the last few chapters the pieces begin to drop into place and the ending offers more closure than ‘The Woman in Black.’ When comparing the two books I feel strangely drawn to ‘The Small Hand’ over the other, as I feel it offers the complete ‘ghost story’ experience when everything is revealed and resolved at the end, which I felt that ‘The Woman in Black’ lacked. I have thoroughly enjoyed reading both of these books by Susan Hill and I would strongly recommend them to anyone who enjoys ghost or horror stories. I look forward to reading more of her books in the future! Last night, after spending three years on my bookcase, I finally got round to finishing Susan Hill’s ‘The Woman in Black.’ After seeing the film adaptation starring Daniel Radcliffe, I was eager to finish the book I had started so long ago. For anyone who has not seen the film or read the book, it is the tragic story of a young lawyer who is sent to Eel Marsh House to sort through the papers of the late Mrs. Drablow. While he is there, he experiences many unexplained events and is haunted by the ghost of a woman in black – a woman whose presence leads to deadly results. The book is wonderfully written. You find yourself being drawn into the experiences of the narrator until you begin to feel on edge yourself – something that not many books manage to achieve. The book less than two hundred pages long and with something gripping happening in every chapter (roughly ten pages long) you can’t help but wanting to read chapter after chapter in one sitting. I was amazed at how true to the book the film really is. Often filmmakers take advantage and turn the story into something completely different, but in this case it is not true at all. Admittedly the film does introduce the underlying story much sooner to keep the action going, but it still holds on to the essence of the book. The film also uses the advantage of visual and audio effects to build up the suspense to create scenes where the audience cannot help but jump out of their seat…even if you think you can predict what is coming! The main difference between the book and the film that I encountered was the ending. The film leaves the audience with complete closure and, what could almost be interpreted as a happy ending in the reunion of the lovers and the expelling of the ghost. However, the book offers no real conclusion to the story, somehow making it scarier, as you are still left with questions at the end, which keeps you thinking about the book a long time after you have finished it. Overall, I found that both the book and the film are wonderful examples of a truly gripping ghost story. The book is a completely unique concept that, even for those who have seen the film, offers something very new and will keep you wanting to read more. The film offers an interpretation of the book that is very true to it, while offering something that people who had already read the book wouldn’t expect. I would strongly recommend both reading the book and watching the film, as even though they tell the same story, they are wonderfully unique.